What is a junk fax? 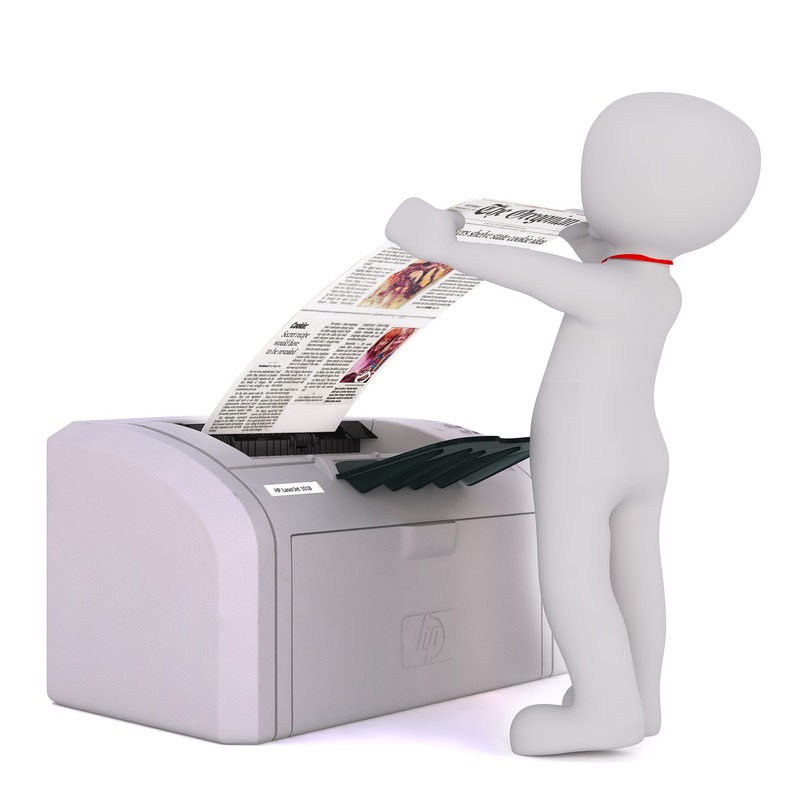 A junk fax is a form of telemarketing, sent to individuals or companies via fax machine. A junk fax is to distinguished with a regular advertising fax. Although, both have direct marketing purposes, junk faxes are unsolicited advertisement, which might be considered nuisance because they might bother the receiver and also waste ink, toner and paper of the receiver’s fax machine. Junk faxes can also come in different forms, e.g. offers about certain products or services, subscriptions, partnerships, and many more. The most important rule for marketing fax is: the receiver’s consent towards receiving the faxes. Under Government legislation introduced on 1 May 1999, it is unlawful to send an individual an unsolicited sales and marketing fax without prior permission. The use of fax machines for direct marketing purposes is also regulated differently according to whether the person called is an individual subscriber or a company. If the receiver is an individual, then the person or company is not permitted to send a fax communication for direct marketing purposes without getting a consent first from the individual. On the other hand, if the receiver is a company or corporate instances, fax communications are indeed permitted unless the subscriber has previously notified the caller that such communications should not be sent on that line; or the subscriber’s line is listed in the register kept under regulation 25 of PECR. This register is maintained on behalf of OFCOM by the Direct Marketing Association and is branded as the Facsimile Preference Service (“FPS”). As another important point, the communication must give the name of the sender and either the address of the sender or a telephone number on which he can be reached free of charge. Many companies disobey this rule by sending anonymous faxes with no clear address or telephone numbers. junk fax from London urging you to sign a contract with a firm based in turkey. beware! that’d cost you 960€ per annum for 2 years. What can I do to stop receiving junk faxes? As mentioned before, you have the opportunity to register your fax number at the Facsimile Preference Service, in order to opt-out from receiving marketing faxes. Take note that it takes up to 28 days for the service to be fully active. In the meantime, you might still be receiving the unwanted faxes. If you still get marketing faxes even after you have registered your fax machine at the FPS, you can submit a complaint to FPS directly. 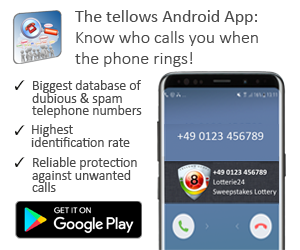 tellows can also offer you another option if you still receive many junk faxes regardless. 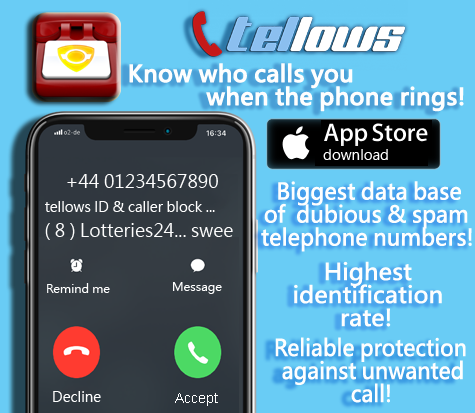 With tellows scorelist available in the UK and other European countries, you can import reported numbers into your Fritzbox and simply connect it to your fax machine in order to avoid phone or fax spammer. In this way, you can prevent yourself from getting bothered day and night!